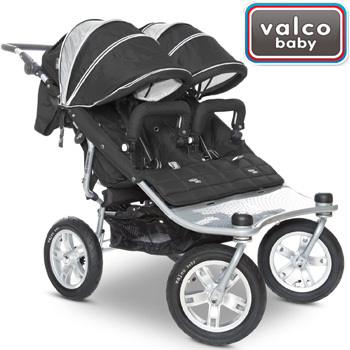 Valco has developed two Tri Mode Twin stroller models, the SE and the EX. The SE, or Special Edition, and the EX feature all of the same dimension and attributes except that the SE includes an extra mesh panel in the hood and side access to the basket. Since most reviewers say the SE’s harness and head huggers are just slightly to remove, this review will treat both versions as a single unit. 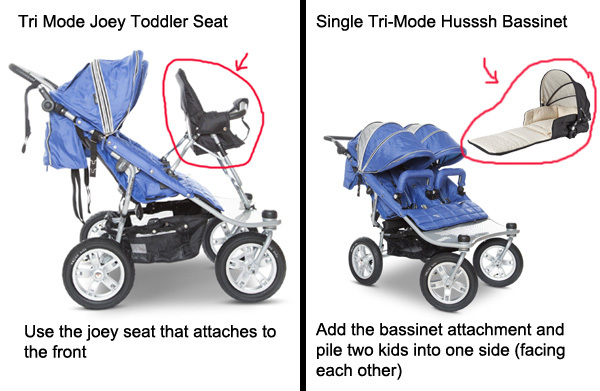 The big thing to note right off is that the Tri Mode Twin stroller is built for two and you’ll need to add a Joey toddler seat or Husssh bassinet to the stroller to fit your third little one. Thankfully these modifications are very safe and very easy. These Valco models offer a good mix of what you need, though they do have some small drawbacks to consider. If your three little ones are inseparable and will remain in the stroller age for some time, the Valco Tri Mode Twin could be a great stroller for you. It’s a big investment, starting at $700 for just the stroller, and it requires a purchase of an additional seat to fit your third, so you’re looking at a substantial investment. Let’s start with the biggest item of all: most people say it’s comfortable for their kids. The straps can make it a little difficult to get everyone situated, but don’t expect a lot of complaints when you’re ready to roll. The two standard seats also recline, adding a level of comfort to the kids. 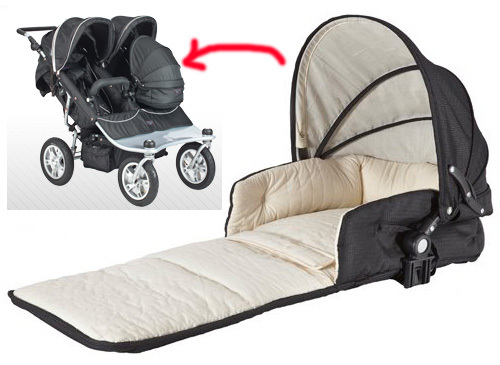 It’s a very solid built stroller that uses a joey seat or bassinet to accommodate three and it turns like a dream. Given the weight, around 33 lbs. without any extras installed, it corners better than you’re expecting. while the joey will sit in front of the side-by-side seats to resemble a triangle of babies. Seats will all face the same way so everyone is getting the same view, great for trips to the zoo and for checking in on everyone. The craftsmanship also means it is great for long walks, hikes, and any trip that will take advantage of its all-terrain tires. It’s a smooth ride and comfortable push, plus it has an air pump that fits snugly under one seat so you can keep the tires inflated for maximum ease. Both models feature canopies that can be easily pulled down to give a little extra protection from the sun. Note: You can install only one car seat on the stroller. 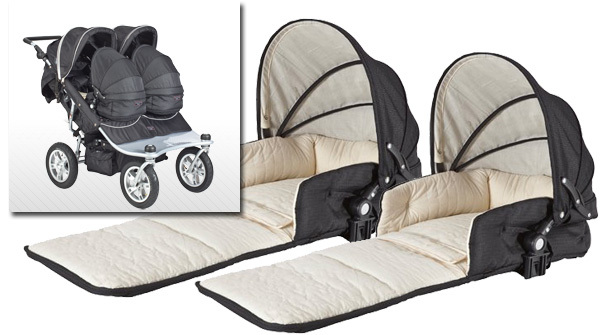 The main accessory you’ll need to use this as a triple stroller is the third seat or bassinet. 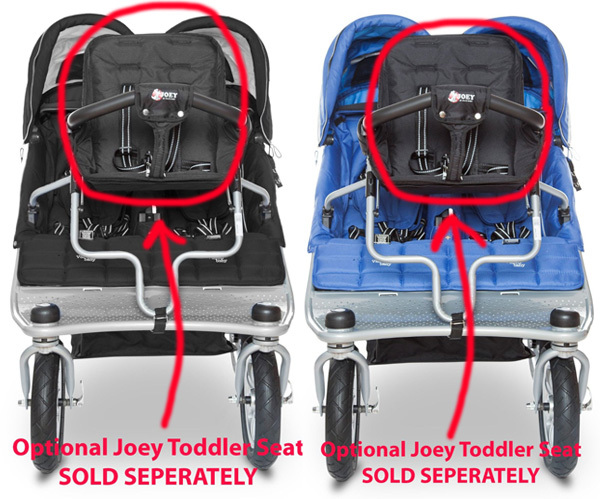 The stroller supports a standard joey seat, a joey toddler seat with a higher back and the Husssh bassinet. 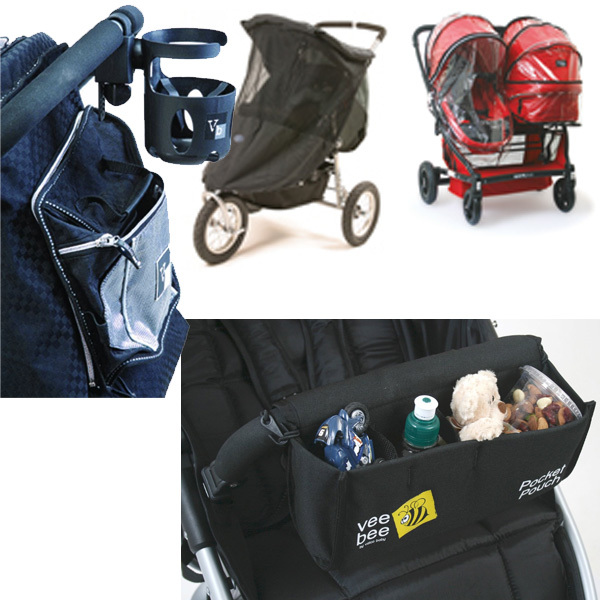 Beyond the necessities, the Tri Mode Twin stroller also has optional foot muffs to keep everyone warm, seat adapters for the models mentioned above, Canopy/Hoodcar for the Joey toddler seat, extra sun shades that zip across the whole stroller, plus a range of cup holders, snack trays and extra pockets that fold up right along with the stroller. Valco notes that it recently added some new cup holder options that snap out for easier cleaning. 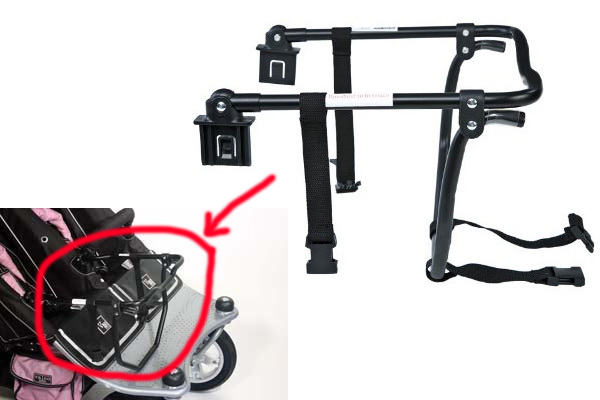 How do I know if this stroller best for me? 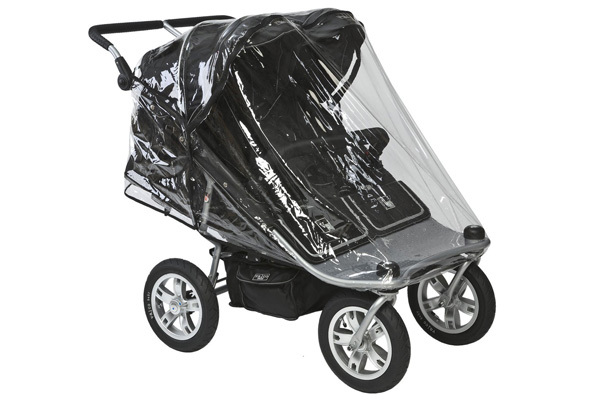 This stroller is great if you’re jogging or walking around a lot of areas that have less-than-great sidewalks and paths. Some of the most enthusiastic reviewers on the Web are from rural areas where there’s a mix of dirt and paved roads. The all-terrain wheels can handle these quite well and it stays an enjoyable ride for the kids. Reviewers have also noted that the standard seats fit taller boys and girls. The weight can be a bit much for some but it adds stability to the stroller. 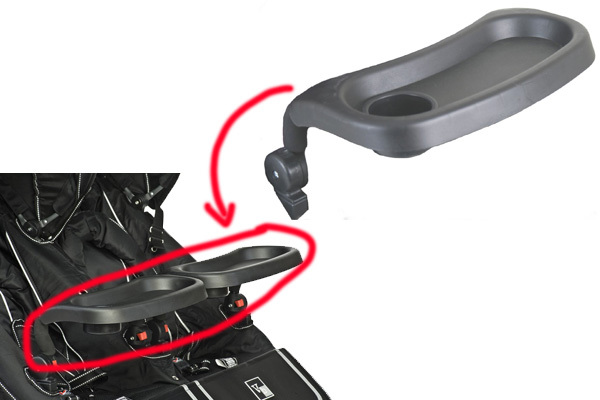 Unfortunately, most models from Valco won’t support this because using two side-by-side car seats would make the stroller too wide to fit through a standard door. However, you can use a single car seat in any position, even the front of a three-baby setup, and all accessories will still work properly. The Valco Baby warranty covers products for up to a year from manufacturers’ defects. It does not cover damage from normal wear and tear, misuse or accidents. Valco can provide information on authorized repair shops that may help you understand warranty coverage. 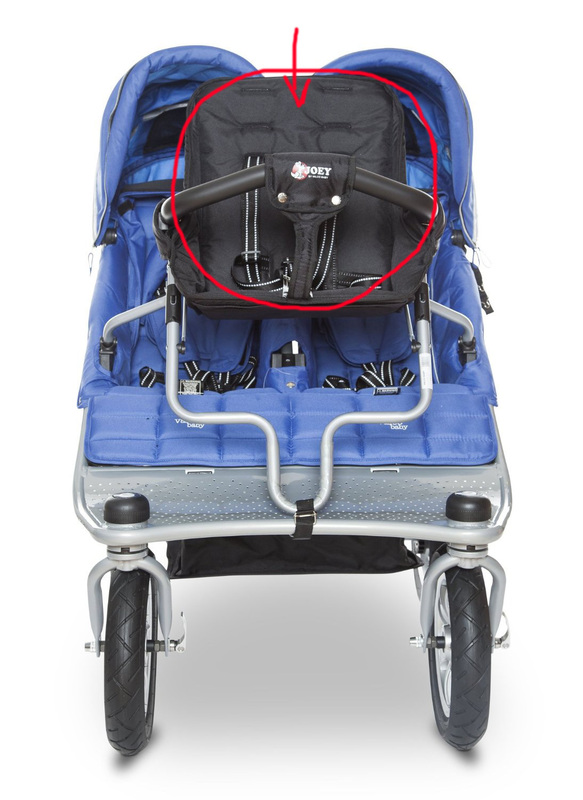 Any stroller purchased from an authorized retailer is covered under Valco’s regular warranty. 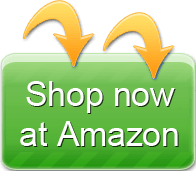 Call Valco directly to see if an online store or seller is an authorized dealer. 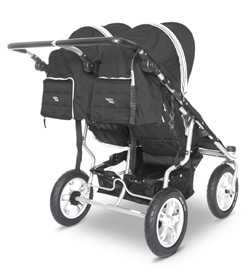 The Tri Mode series are designed with a lockable, fixed front wheel for light to moderate jogging. Please consult with your pediatrician before jogging with a newborn! Comfortable to push and to ride in. Locking wheel positions for jogging. Even towing three it’s still just 29″ wide so it’ll fit through almost every door you come across. 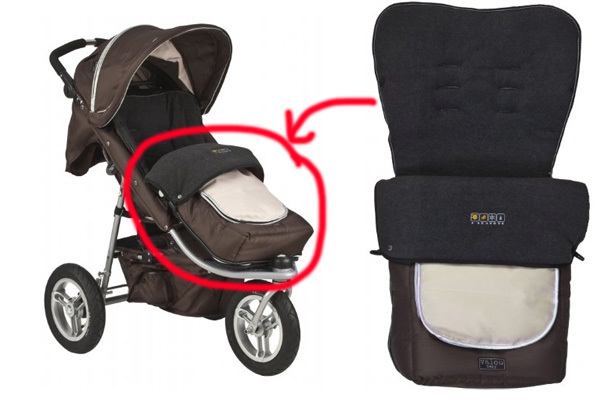 The stroller folds up very tight and the joey seat will fold with it, so you don’t have to remove it when storing it in the trunk. The front wheels swivel with just a little effort so you can turn easily but it’s sturdy enough that you’re not sliding or turning by accident. The seat straps take some getting used to and even those who’ve owned the strollers awhile have trouble getting everyone buckled. The SE improved the straps for easier use, but only 50% to 60% of customers have said that these are easier or quicker. At 33 lbs. it can be a little bulky for everyday use if you have to pick it up a lot. Tires need to stay inflated and some users note that this requires them to pump up the tires while out on long jobs, walks or trips. The price can be a little much for some if your three little ones are still young. 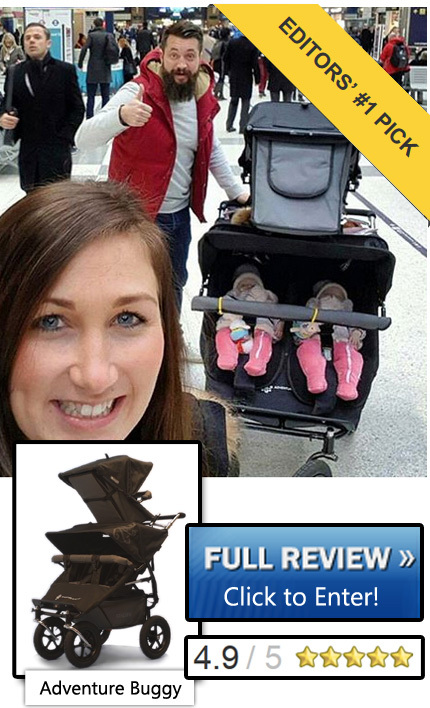 You’re looking at the $850 to $950 range when buying the stroller, bassinet and joey seat. The joey seat doesn’t recline when installed. The basket has a bar running across the middle that can make it difficult to access. One the EX this prevents you from getting anything reasonably large out of the basket – it’s made some reviewers bring a separate bag instead of dealing with the troublesome basket. The SE introduced a side-access to the bag which has alleviated some of the concern; however consumers report that the basket can still be a little bit of a pain. The basket on both models sags over time. When folding it up, many users report that bottom of the basket will bend and the plastic loses some of its shape. This means the basket may eventually drag on the ground. 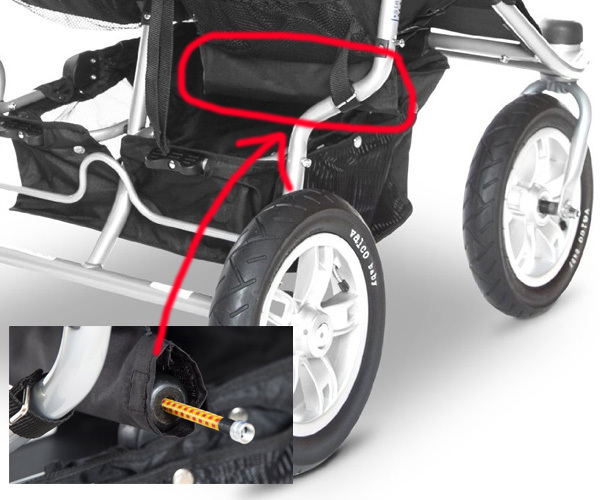 The stroller can be install only with one car seat, and you need to buy the car seat adapter as well. Valco Baby is an Australian, family-owned business that’s been making baby products for more than 30 years. The company says all of its products have been tested by children of the owners. Valco has a good reputation for quality and sturdy designs, plus it operates a fleet of retailers and repair shops across the world to provide adequate support outside of its native Australia. If your triplets or three little ones are young, this can be a solid investment even at the price. 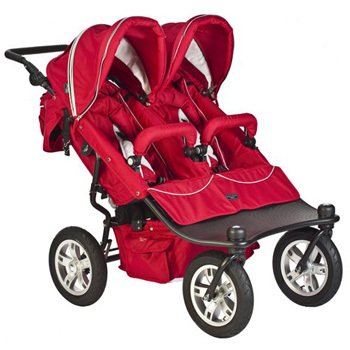 It’s a comfortable ride for the kids and supports jogging and lots of different terrain. Inflating the tires may become annoying at times and the stroller is definitely heavy, but this is outweighed by its support for car seats and multiple configurations to support kids of all ages as they grow. It can go just about everywhere you do and is easy to maneuver, so it’ll make a great choice if your kids are young enough that you’ll use it for an extended period of time. If you’ll soon be switching to just two in the stroller, you may have some lighter options that are easier to handle as one walks next to you. 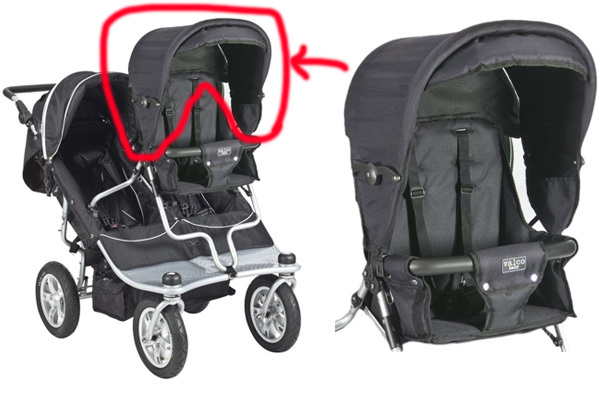 Note: We don’t actually sell any strollers here at BestTripleStrollers.com; we just review and evaluate them. 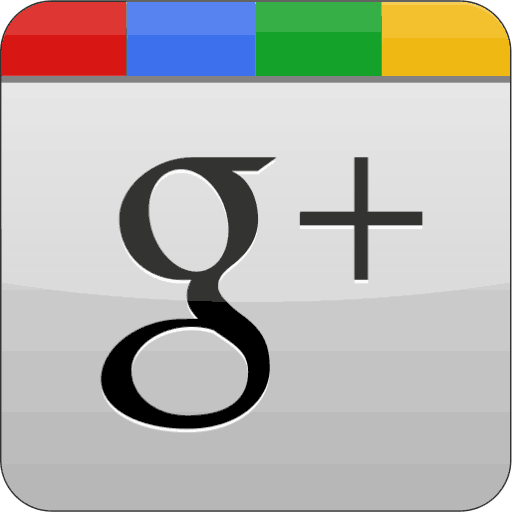 However, we do look for the best dealers and prices on the internet.